Back in 2012, Jeff Bezos, the founder of Amazon.com, announced that Bezos Expeditions discovered the location of several long-lost rockets used by the Apollo program to launch people to the moon. Now, those rockets are on display. I’m excited to report that, using state-of-the-art deep sea sonar, the team has found the Apollo 11 engines lying 14,000 feet below the surface, and we’re making plans to attempt to raise one or more of them from the ocean floor. 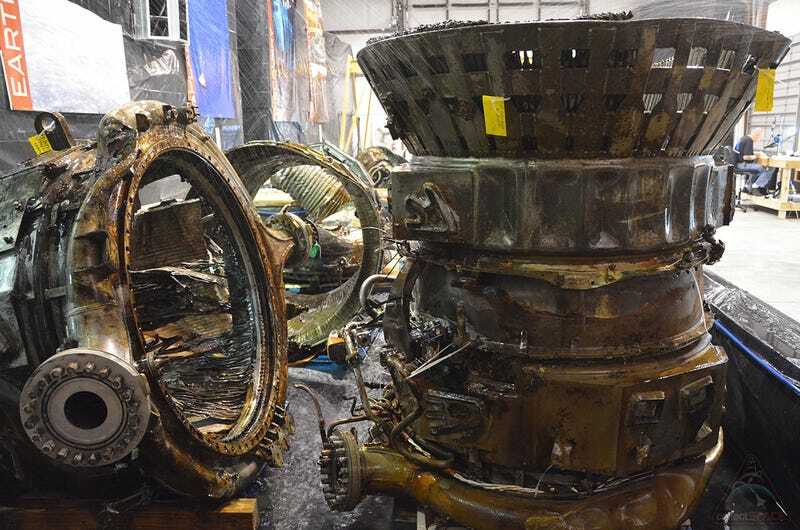 We don’t know yet what condition these engines might be in - they hit the ocean at high velocity and have been in salt water for more than 40 years. On the other hand, they’re made of tough stuff, so we’ll see. In 2013, they were able to successfully recover the rockets, bringing them up from the seafloor. Since their recovery, conservationists at the Cosmosphere International SciEd Center and Space Museum have been hard at work preserving the machines. Additionally, they discovered that they had recovered “a thrust chamber, a liquid oxygen (LOX) dome and injector plate, a turbo pump and a heat exchanger from Apollo 11,” as well as “two thrust chambers and a LOX dome with an injector plate from Apollo 12 and a heat exchanger, a turbine and inlet manifold from Apollo 16.” The conservators also believe that they have some parts from Apollo 13. There’s no word yet on when the parts will go on display, but according to CollectSpace, the Apollo 11 parts will be headed for the Smithsonian’s Air and Space Museum, while the conservators are working with other locations.